30 people, including six Mexican nationals, were killed in yesterday’s plane crash. All foreign nationals were advised to leave the country following the outbreak of civil war. 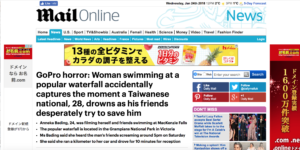 A woman swimming at a popular waterfall in Australia accidentally captured the moment a Taiwanese national drowned as his friends desperately tried to save him. 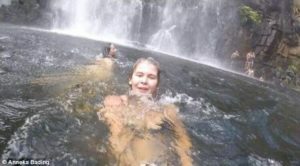 Anneka Bading was using a GoPro to film herself and two friends at MacKenzie Falls in the Grampians National Park, west of Melbourne, on Saturday when the 28-year-old man slipped and fell into the water. A group of people can be seen on rocks near a waterfall in the background frantically trying to rescue the man. His body was recovered at 9.30am the next day. Ms Bading, 24, said she had been swimming close by when she spotted the man sitting with three friends on a rock near the waterfall. Seconds later, she said she heard his friends screaming and pointing at the water. Everyone was frantically packing up their stuff. I’ve been working frantically all week to get it finished on time. I got home to find Lara frantically searching for her keys. Inside, decorators worked frantically to solve last-minute problems. The store was close by, so they decided to walk. Shall we call in on Miranda? You know she lives quite close by. ‘At that point we had no idea what was going on. We thought some sort of animal was in the water. We couldn’t understand what was going on and they kept screaming and pointing,’ she told The Stawell Times. Ms Bading said it wasn’t until a female friend of the man grabbed her GoPro stick that she realised someone was drowning. They then attempted to raise the alarm using their phones. ‘Everyone didn’t know what to do and we couldn’t understand [the victim’s friends]. 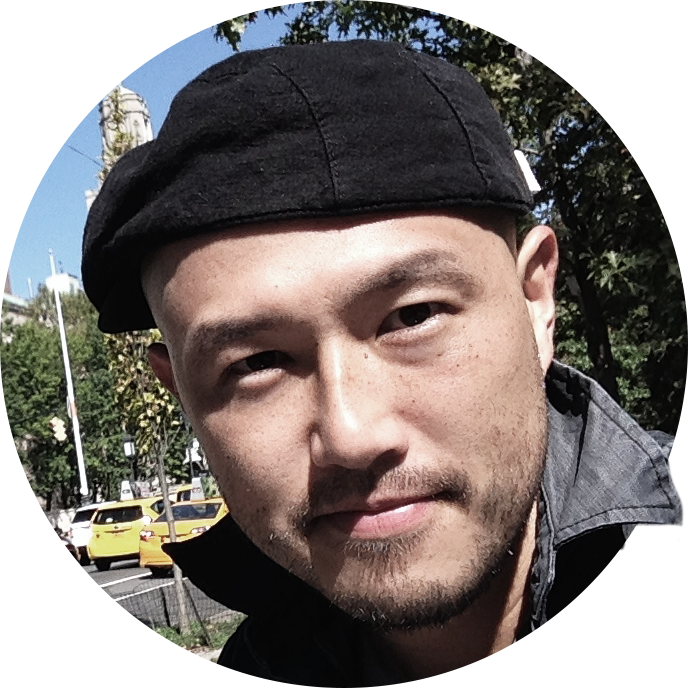 My legs were shaking when I knew what was going on but no one knew what to do,’ she told the publication. The other man swam to the shore to sound the alarm. A local doctor was the first to raise the alarm about this latest virus. We aim to provide a first-class service. About 40 people were visiting the waterfall at the time, including an off-duty lifeguard who jumped in the water, but the pressure from the waterfall was too strong. The 24-year-old, who said she didn’t see signs nearby prohibiting swimming, was only able to receive service after running a kilometre to the carpark and driving for another 10 minutes. She has called for better phone reception in the area. After arriving at the scene, Ms Bading said paramedics told her the man may have become trapped under a rock shelf. His body was recovered the following morning. 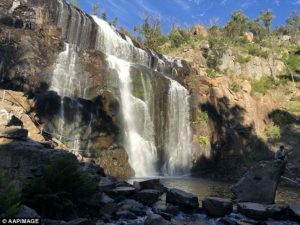 Parks Victoria told the Stawell Times there are three signs in the area prohibiting swimming and said Telstra was looking into extending coverage to the waterfall’s carpark. I’ll call for you at eight. Has he called for his parcel yet? We‘re looking into the possibility of merging the two departments. We‘re looking into buying a new computer. He looked into hiring another secretary, but it would have been too expensive. Check out the wireless service provider’s coverage before you sign a contract.